When I take all the H. Rider Haggard books that I have read, The Ivory child stands out to me as one that almost unseats Allan Quatermain as my favorite of his works. The Ivory child was an amazingly told story about two ancient religions and their symbols fighting each other and Allan was only there with a friend to try and save the man's wife. As with many of Haggard's books, there can be a lot of monologuing, but I found it sparse and easy to get through in this novel. It is especially fun if you have already read Allan and the Holy Flower as there are discussions and re-occurring characters from that story. 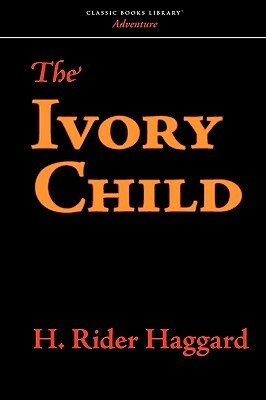 Sign into Goodreads to see if any of your friends have read The Ivory Child.